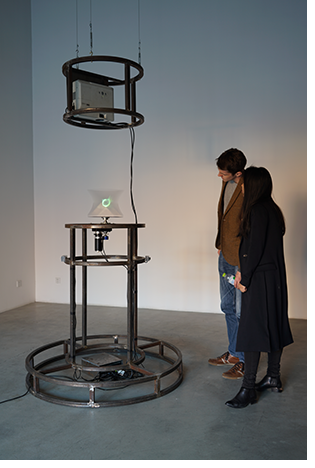 Scan Sweep Swipe Wipe investigates the possibilities of volumetric imagery; imagery that can literally be seen 'in the air' in three physical dimensions. 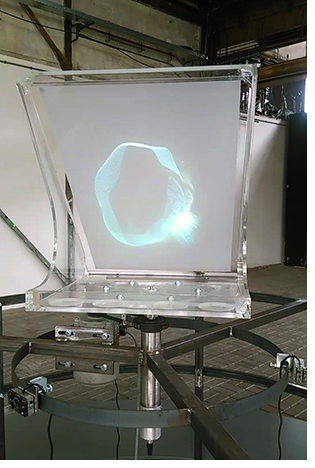 The goal of the work is not generating a realistic three-dimensionality that represents reality as we know it, but finding a method to create imagery that can be described as dynamic sculpting with video. The heart of the machine is a projection surface that spins around its center. From above a projector shines on the diagonally positioned screen. Visitors are scanned with three video cameras that are mounted at the middle of the installation. 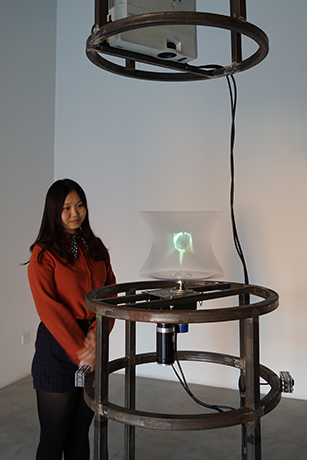 The projection surface starts spinning once a visitor is detected and with the visitor's body movement contributing to the dynamics of the imagery, the result has an unusual spatial presence and intriguing plasticity. 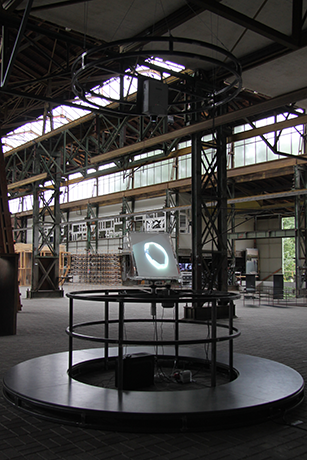 Currently two versions of the work exist: the large scale original that was commissioned by DordtYart; and a smaller version made for a presentation at C-Space during the Beijing Design-week 2015.